Gap once ruled the retail world. But today, America’s largest apparel retailer is closing a quarter of its stores and laying off hundreds of workers amid disappointing sales. 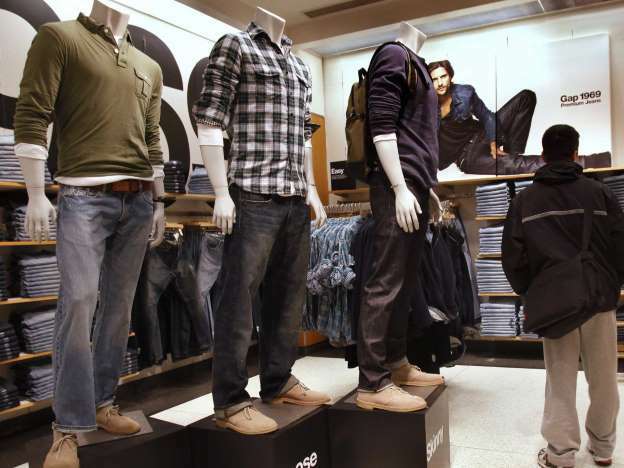 Gap’s closures are indicative of a larger trend in American retail. Big apparel brands are grappling with shoppers who increasingly want deeply discounted clothes over classic logos and status. As Americans shell out for items like iPhones and Netflix, they are increasingly unwilling to pay full price for sweaters and jeans. J. Crew just fired 10% of the workers at corporate headquarters as sales and profits continue to plunge. The teen-apparel market is also struggling as a whole, with big-name players like Abercrombie & Fitch and Aeropostale closing stores. Wet Seal, a shopping mall staple, abruptly shut down nearly all of its stores. Sears, Macy’s, and JCPenney have also shuttered hundreds of store locations in recent years. Once mall anchors such as a department store close, it can be difficult for owners to find a tenant to replace them, said Howard Davidowitz, chairman of Davidowitz & Associates, Inc., a national retail-consulting and investment-banking firm. “Teen retailers … are all a disaster and these middle-level malls are killing them,” Davidowitz said. Certain businesses are Benefitting from current mall closure trends. Discount retailers like T.J. Maxx and Ross are enjoying soaring sales. Urgent care clinics like City Practice Group of New York and Concentra are growing at a rate of about 20% a year, reports Doni Bloomfield at Bloomberg Business. Many are taking over spacious, empty leases in malls to satisfy growing demand from consumers, according to Bloomberg. Technology-focused tenants like Tesla, Microsoft, and Apple are majorly driving sales, according to WSJ. Because technology is more expensive than clothing, it’s easier for these stores to turn a profit. Consumers are also increasingly spending on this category instead of traditional goods like home decor or clothing. Technology stores also require fewer staff and smaller spaces than department stores, resulting in fewer overhead expenses.